The body of a Romanian man has been found hanged inside an Avianca airplane’s bathroom just before landing in Costa Rica after flying from Colombia’s capital Bogota, media from both countries reported on Wednesday. 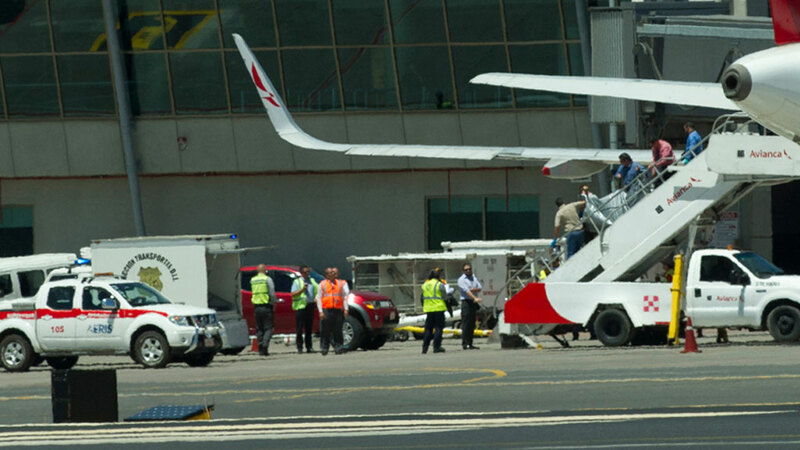 The man, identified as the 53-year-old Comana Costel, was found dead by his travel partner, a 35-woman from Romania, and Avianca personnel only minutes before landing at the Juan Santamaria airport in Alajuela, a town close to the capital San Jose. The couple had boarded the plane in Bogota. According to his travel partner, the deceased man had been nervous on the flight during which he visited the bathroom on a number of occasions. The anonymous woman said that at one point during the flight and found the seat of her traveling partner empty when waking up minutes before landing. She and Avianca personnel then found the body of the man hanged and lifeless inside the bathroom of the airplane, reported La Nacion from Costa Rica. Authorities found the woman was carrying $12,500 in euro bills while they began investigating whether the man had killed himself or had been murdered.